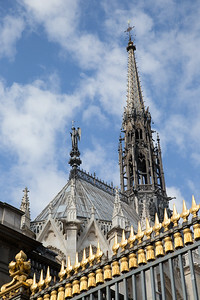 My stay in Paris was relatively short, but I had time to visit two sights that had long been on my list: the Sainte-Chapelle and Saint Denis. 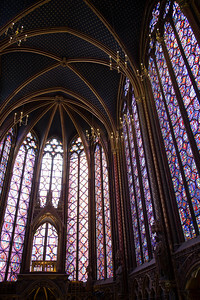 The Sainte-Chapelle, on the Île-de-la-Cité in the heart of Paris, was built by Louis IX between 1239 and 1248 as a royal chapel. 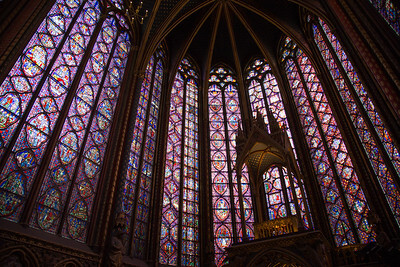 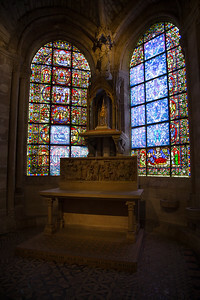 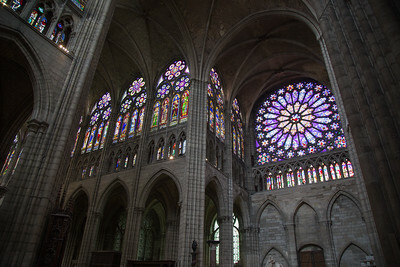 The stained glass is original. 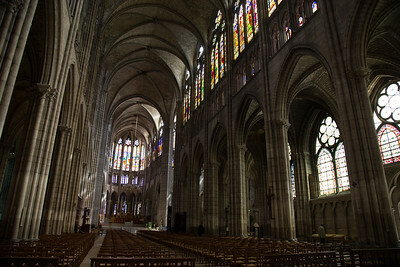 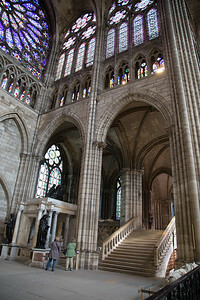 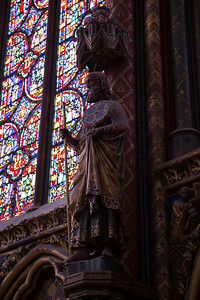 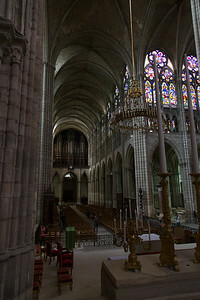 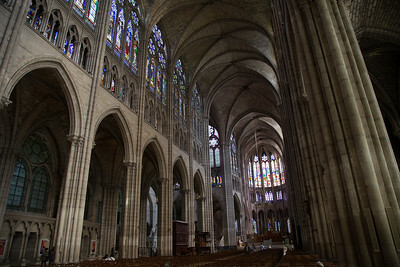 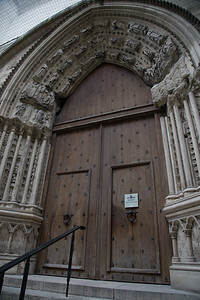 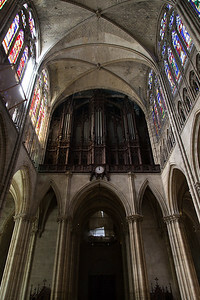 The Basilica of Saint Denis is located on the northern outskirts of Paris. 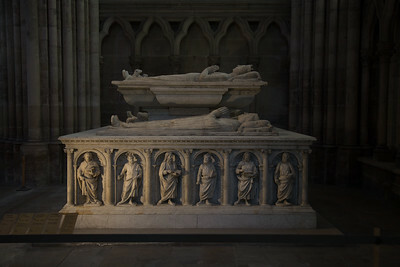 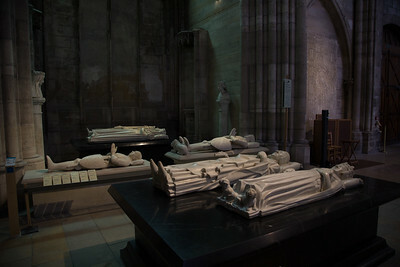 Built mostly in the 1100s, it is the burial site for the kings and queens of France. 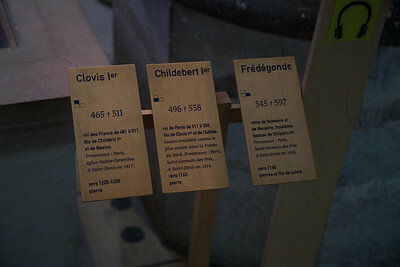 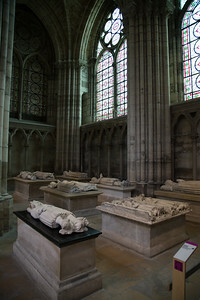 Those who died earlier were moved here, like Clovis I (465-511). 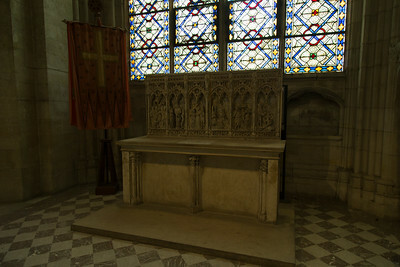 It's pretty astounding to stand beside the tomb of a king who reigned 1500 years ago. 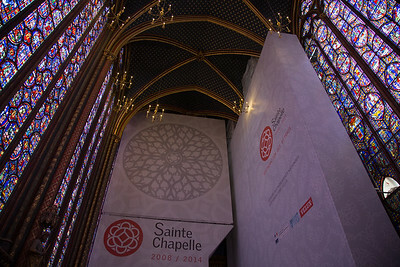 The Sainte-Chapelle from the Boulevard du Palais. 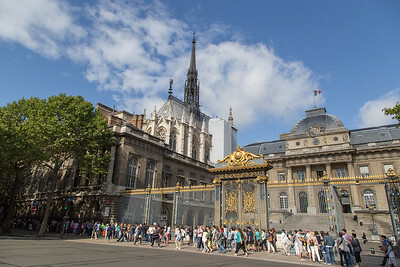 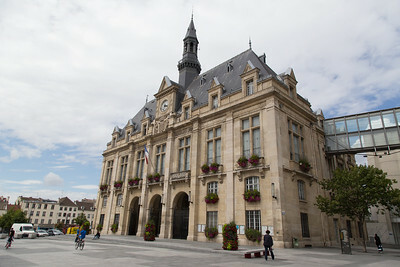 Note the entrance queue in front of the Palais de Justice. 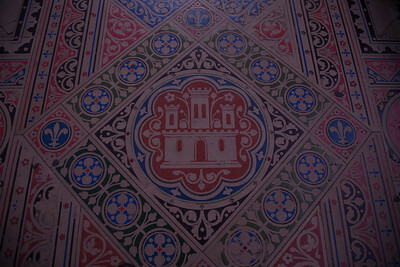 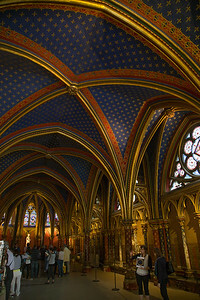 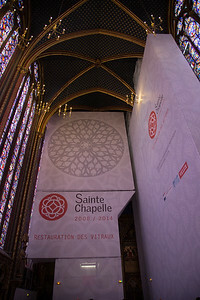 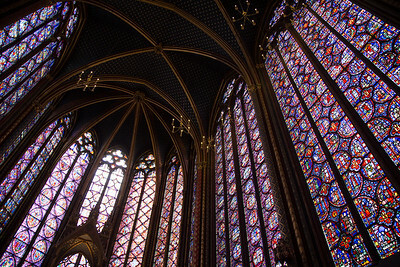 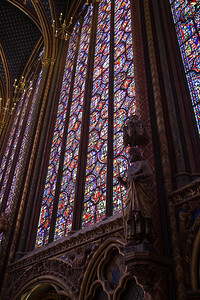 Lower level of the Sainte-Chapelle. 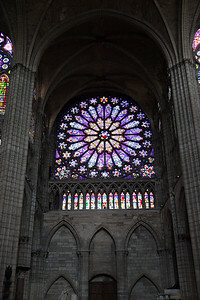 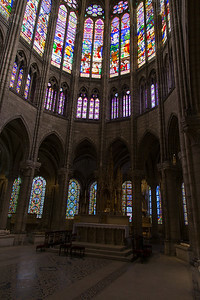 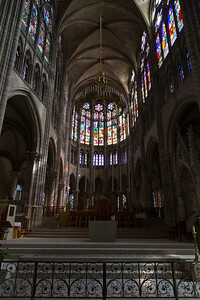 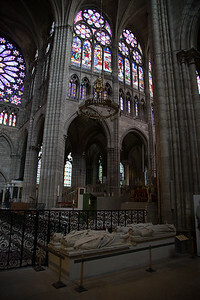 The great rose window and one of the side windows were under restoration. 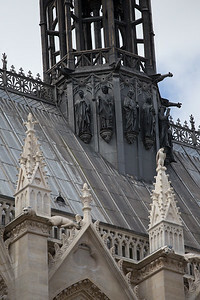 Gargoyles and statues on the Sainte-Chapelle. 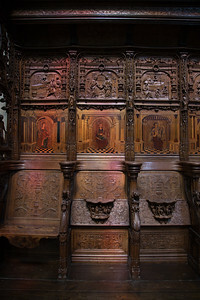 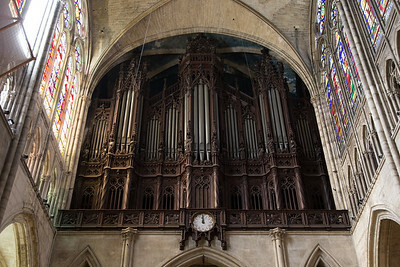 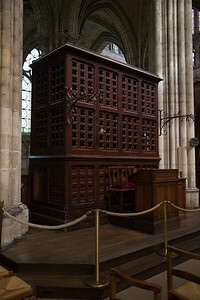 Cavaillé-Coll organ in the St.-Denis. 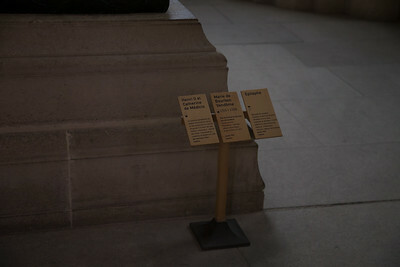 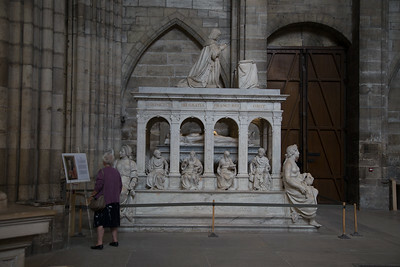 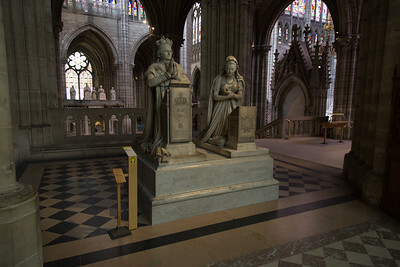 The statues of Louis XVI and Marie Antoinette face this side altar. 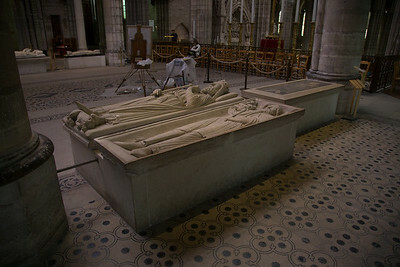 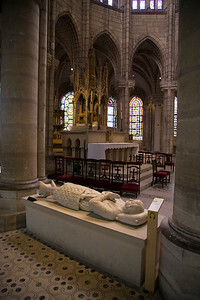 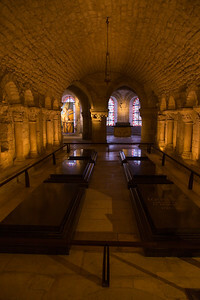 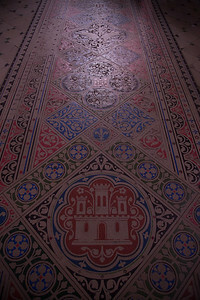 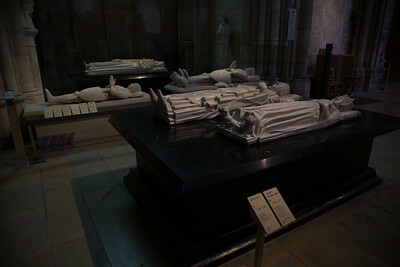 Crypt of St.-Denis. 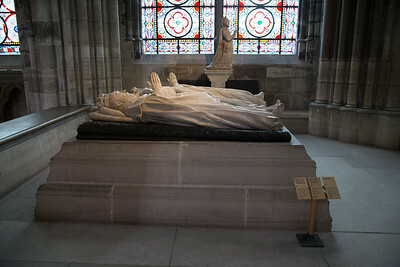 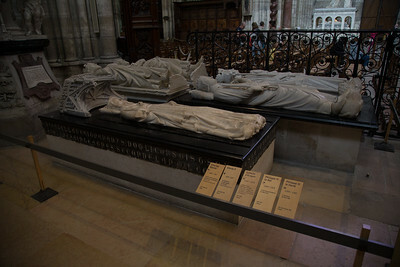 Tombs of Louis XVI and Marie Antoinette, among others.